Sew what's cooking with Joan! 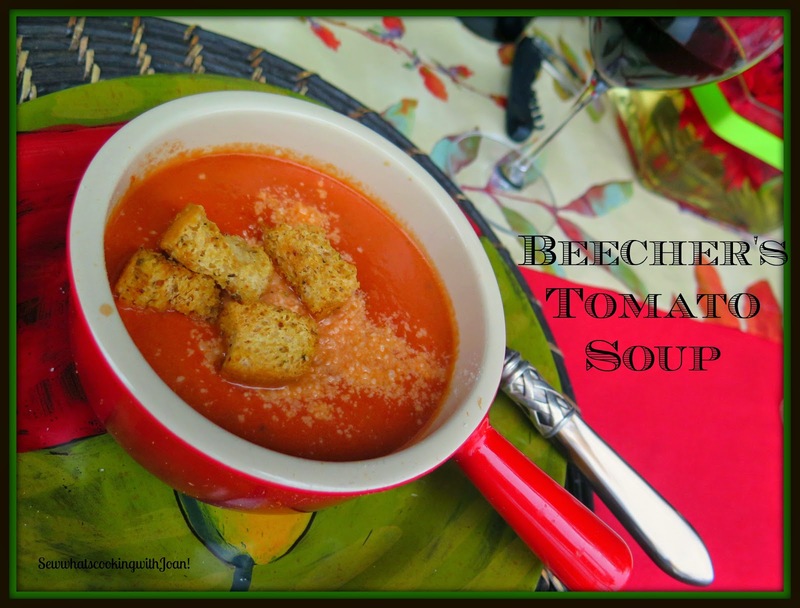 : Beecher's Tomato Soup! When I'm at the market, I can't help myself, I must go in for a cup of their famous Tomato soup, garnished with Parmesan cheese and a few of their homemade herb croutons.....YUM!!! In fact double YUM!!! 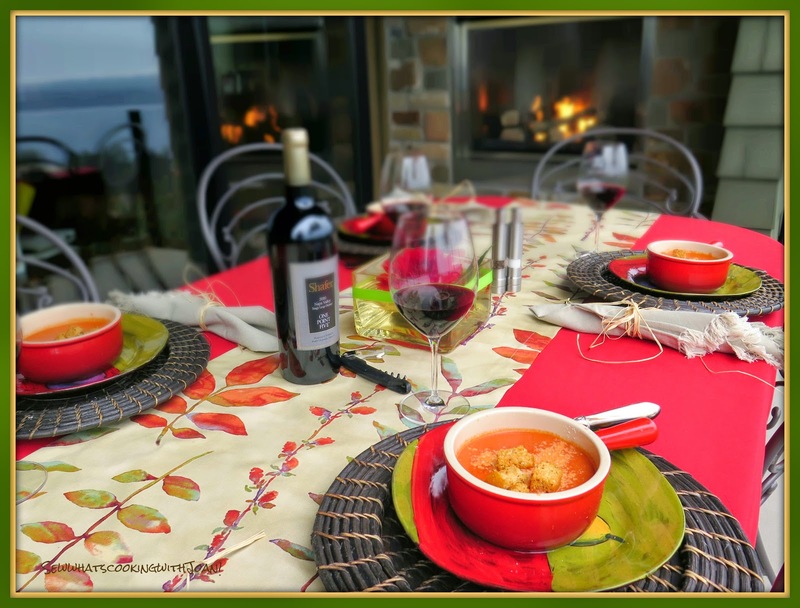 Fall is here, it is time for soup! I am offering you a soup that is so good and takes about 20 minutes to make!! Let's run...not walk to the grocery and make this for dinner! In a large saucepan over medium heat, melt the butter. Add the onion and saute until soft but not brown, about 4 minutes. Add the crushed tomatoes, water, pepper and salt. Bring to a low boil, reduce to low and simmer, uncovered, for 5 minutes, stirring occasionally. Add the cheese and cream and stir until the cheese melts, about 2 minutes. Serve hot. This soup will keep covered in the refrigerator for up to five days or in the freezer for up to six months. Gently reheat over low heat, stirring frequently to avoid burning. 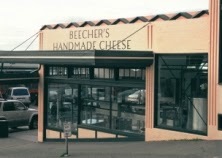 With over 1,600 cheeses entered from 248 cheesemakers, five of Beecher's cheeses took home awards at the 2014 ACS Annual Competition. Winning cheeses include- Marco Polo Reserve (1st), Cheese Curds (1st), Yule Käse (2nd), Flagship Reserve (3rd), and 4-year Aged Flagship (3rd). 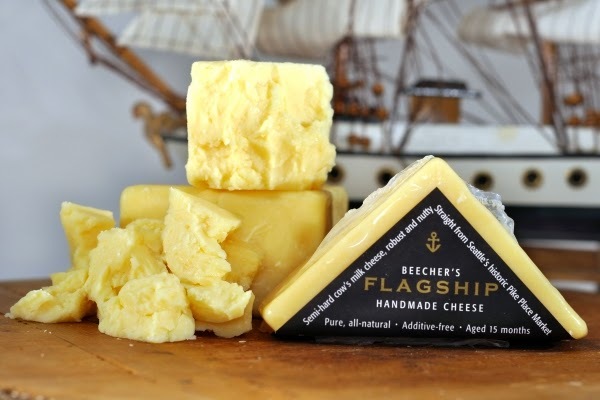 *If you cannot get the Beechers Flagship, use a sharp cheddar. The flavor is similar but, it doesn't melt as quickly. This Summer has been full of family and friends. This picture is one I took on a family dinner at my son's home. My adorable Grandson Cooper Owen is a delight! 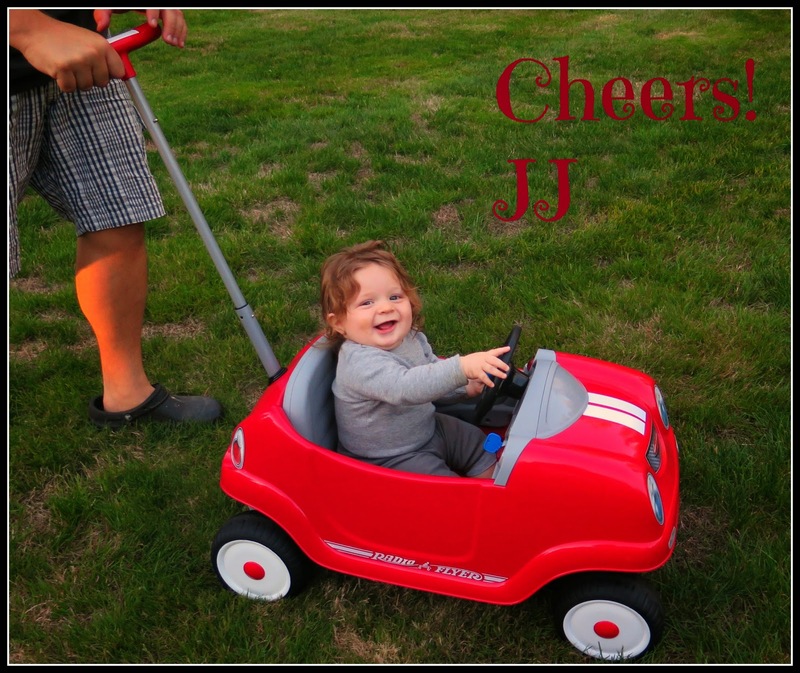 He loves the new Radio Flyer car! 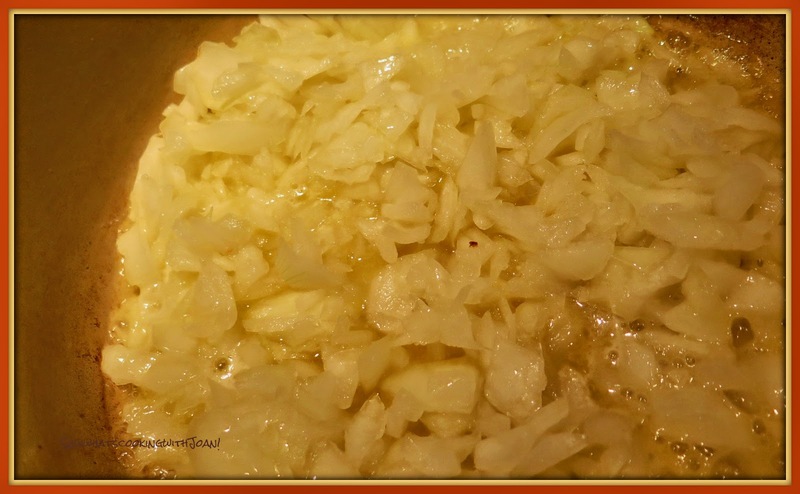 Delicious and easy, my family loves it. Perfect for this Winter! Jill-Renton, Wa. I first made this soup recipe a few years ago, after I’d had the soup at Beecher’s NYC on winter holiday and fallen in love. This so easy to make, and perfect for cold winter days. It’s embarassing how long it’s taken me to leave you feedback, I’ve made this recipe at least half a dozen times! 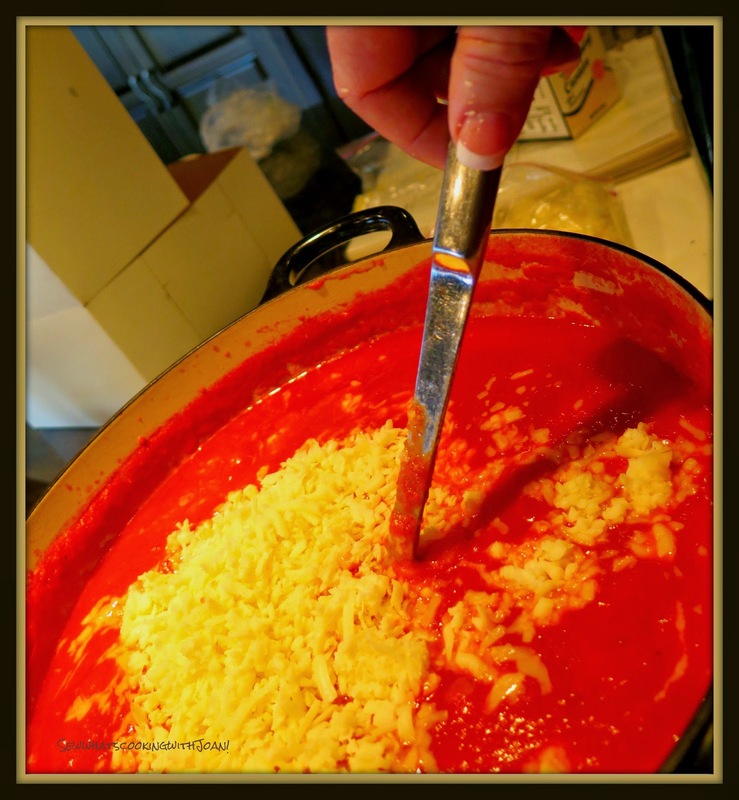 Last year I upsized it to use #10 can of tomatoes, because I can get the giant can for about the same price as two 28-oz cans, LOL - basically, a quadrupled recipe, though I only doubled the cheese; but I added a bit of parm to make up any lost flavor. It freezes beautifully and tastes even better after, and the frozen pints make wonderful holiday gifts for those hard-to-buy-for friends and relatives. 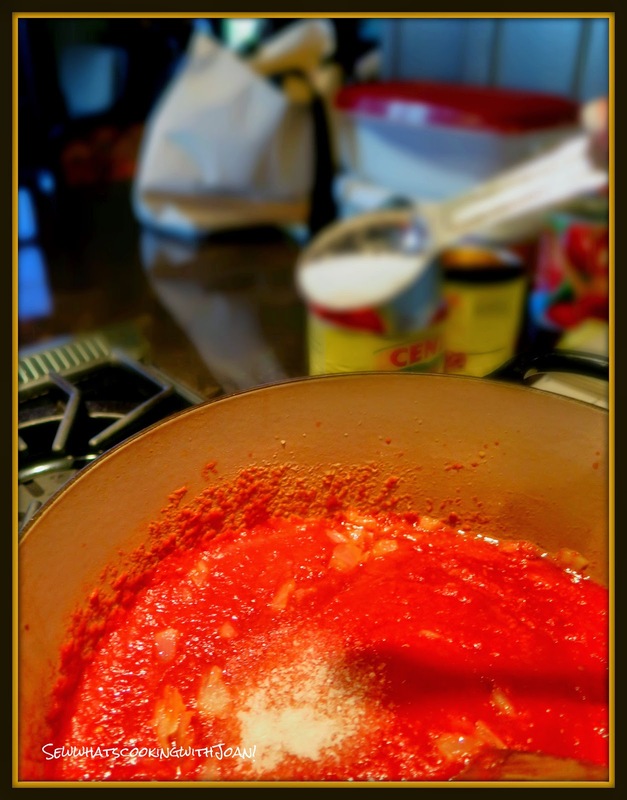 So, thank you for sharing this recipe, it brings back old and new holiday memories.